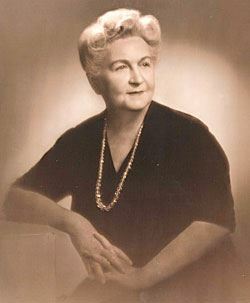 Margaret Hunter Kinkaid. Courtesy of the Kinkaid School. Image available on the Internet and included in accordance with Title 17 U.S.C. Section 107. 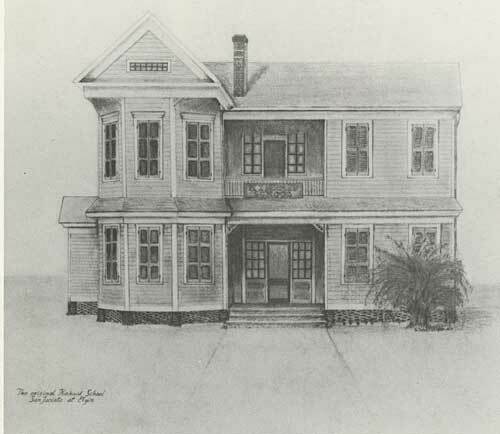 Margaret Kinkaid's House, 1904. Courtesy of the Kinkaid School. Image available on the Internet and included in accordance with Title 17 U.S.C. Section 107. 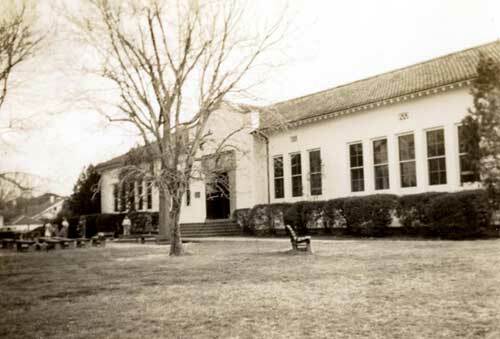 Kinkaid School, Richmond Campus, 1924. Courtesy of the Kinkaid School. Image available on the Internet and included in accordance with Title 17 U.S.C. Section 107. KINKAID, MARGARET HUNTER (1874–1951). Margaret Hunter Kinkaid, founder of the Kinkaid School in Houston, was born Margaret (Maggie) Bell Culbertson Hunter in Houston, Texas, on April 29, 1874, the youngest of five children of William and Mary Barret (Allen) Hunter. Her grandfather, Dr. Johnson Calhoun Hunter, was one of the Old Three Hundred, and her father was a Confederate veteran. Margaret attended the Clopper Institute and qualified as a teacher in Houston, where she taught at Hawthorne elementary school. In 1899 she married William J. Kinkaid; the couple had two sons. After her marriage, Mrs. Kinkaid found to her dismay that married women were not allowed to teach in the Houston public school system. In September 1904 she invited seven students to begin classes in her home on the corner of San Jacinto and Elgin streets. She interrupted her teaching briefly before the birth of her second son in 1906, but she soon resumed classes and later preferred to cite 1906 as the official beginning of the Kinkaid School. By the 1920s the school had outgrown Mrs. Kinkaid's house, and she agreed to work with a board of directors to acquire a new site. This board, which included some of the most influential men in Houston in 1924, worked under her direction to raise money and plan the new school. The board had nothing to do with the actual operation of the school, a responsibility Mrs. Kinkaid insisted should be left entirely to her. She encouraged a variety of "enrichment experiences" for students and made it possible for all students to take part in drama and speech classes along with their regular studies. She was a Christian Scientist and considered her school to be under God's direction. The school prospered under her leadership and that of her son, William, who served as principal from about 1941 to 1951. Mrs. Kinkaid retired in 1951 and selected her successor, John H. Cooper. She died on December 20, 1951, as the result of an automobile accident. Susan Hillebrandt Santangelo, Kinkaid and Houston: 75 Years (Houston, 1981). Handbook of Texas Online, Susan H. Santangelo, "KINKAID, MARGARET HUNTER," accessed April 20, 2019, http://www.tshaonline.org/handbook/online/articles/fki47.